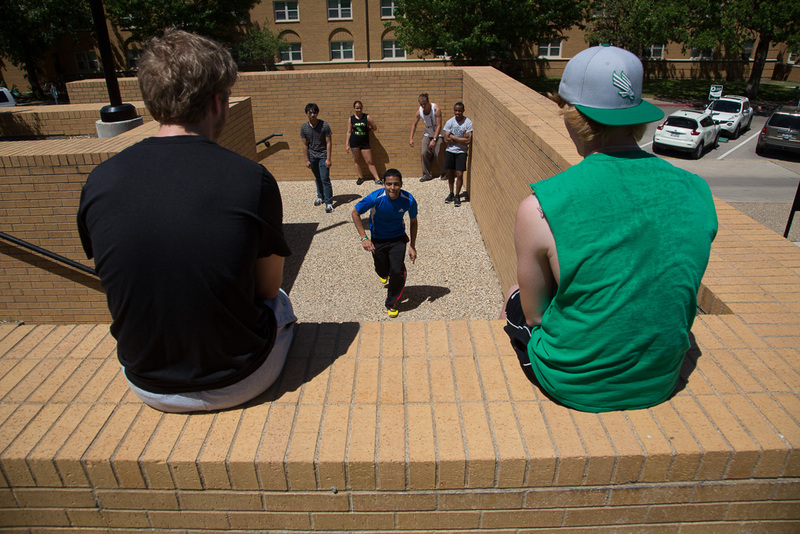 UNT Parkour member, Travis Hensley practices by leaping across tables. 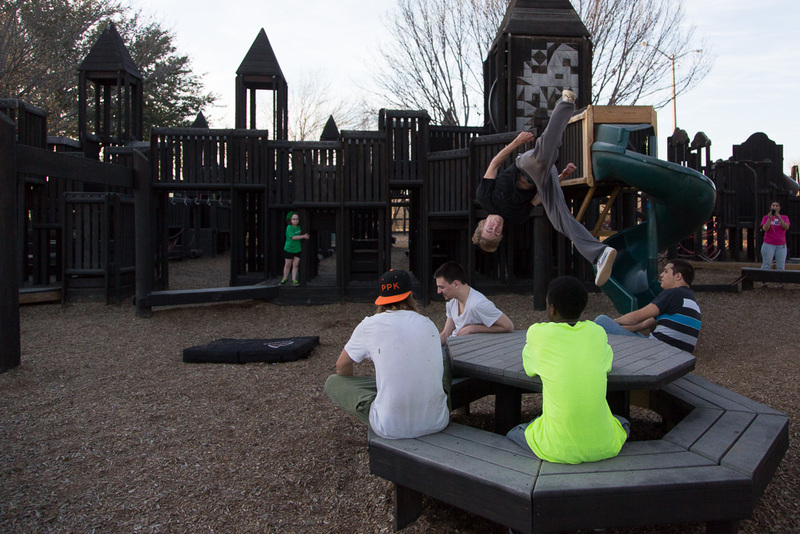 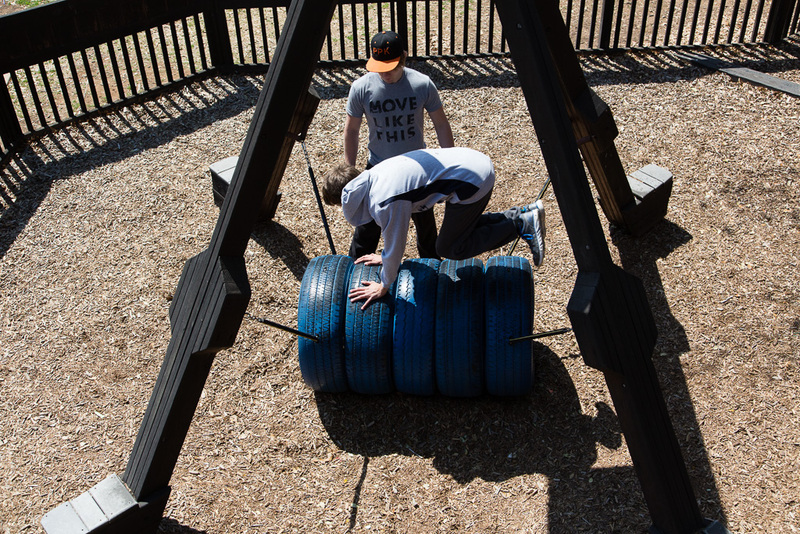 UNT Parkour member, Kenny Chamberlain went to a park in Denton to promote parkour by recruiting members. 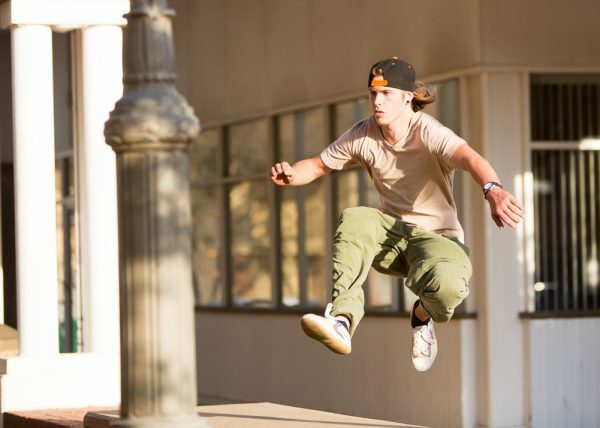 UNT Parkour member, Christian St. Clair balances across a stair rail. 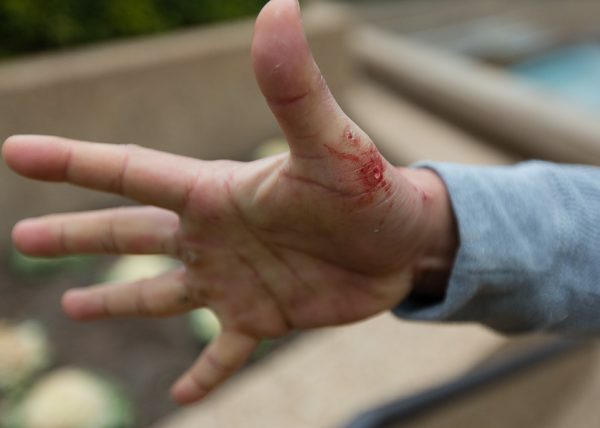 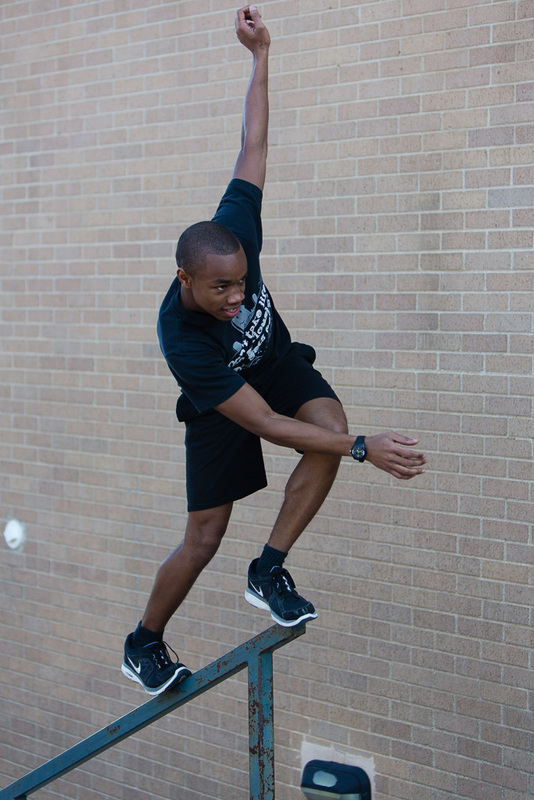 UNT Parkour member, Miles Cortez shows that parkour isn't so easy. 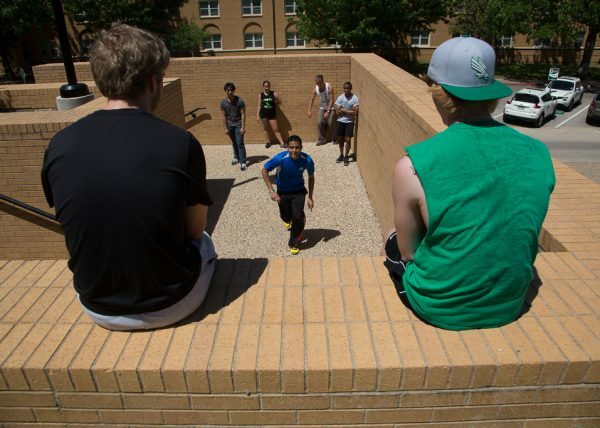 Travis Hensley and Peter Broome, help fellow film students with their short film. 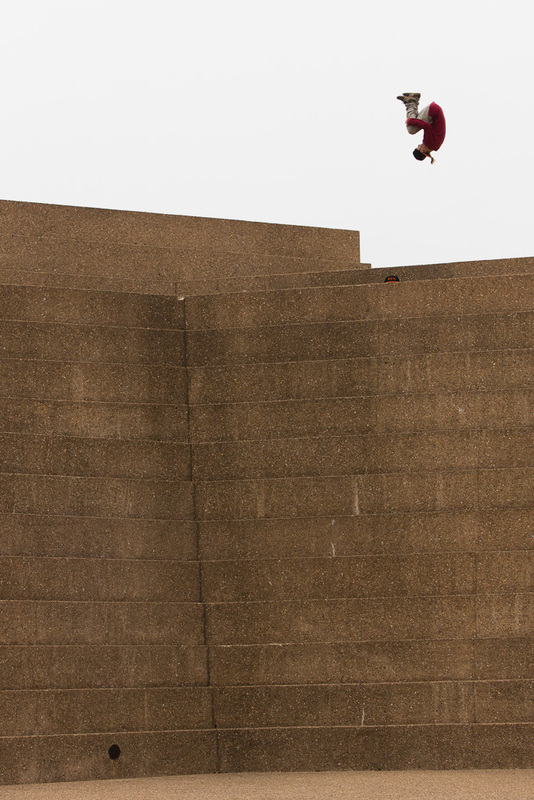 Matt Johnson displays his skills by performing a flip off a ledge. 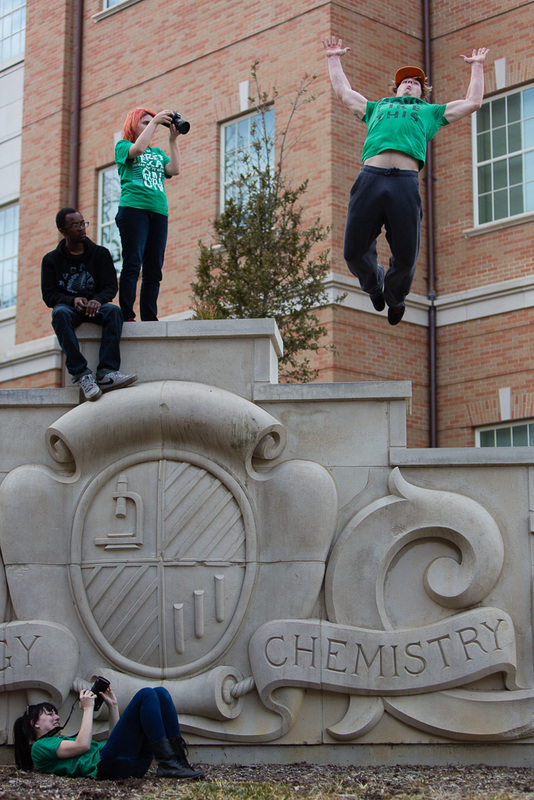 He is helping a UNT club. 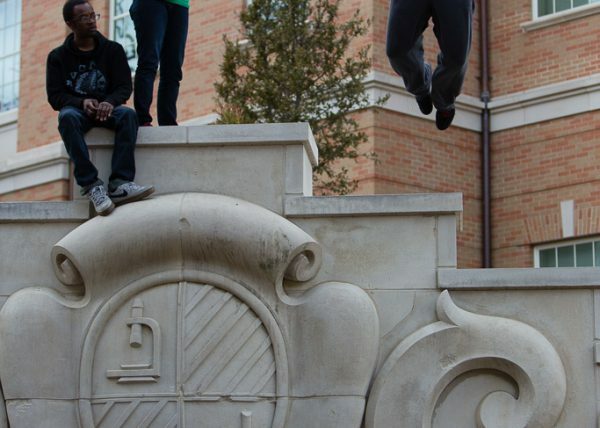 Promting UNT in Denton, Matt Johnson teaches parkour on the weekends to anybody that is interested. 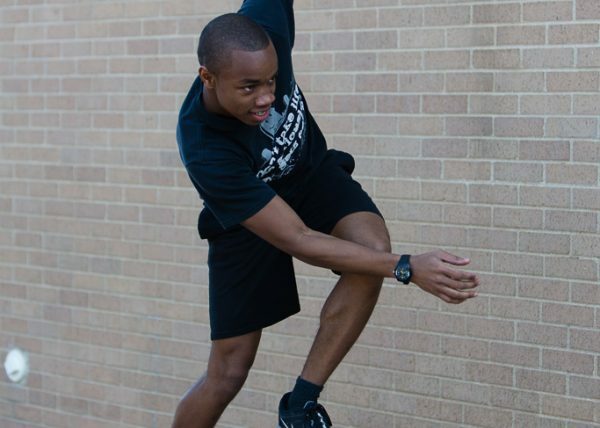 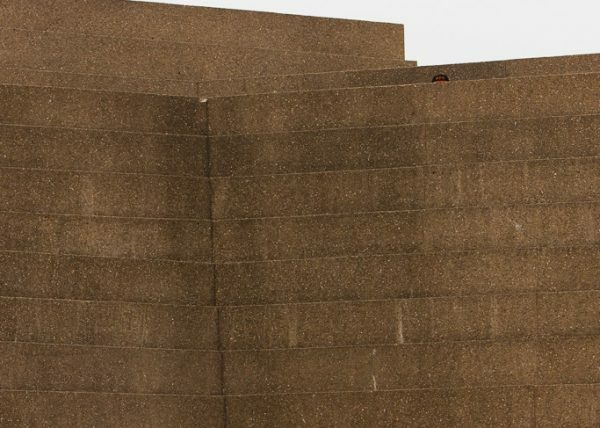 UNT Parkour member, Albert Najera runs to climb a wall to join his fellow parkour members. 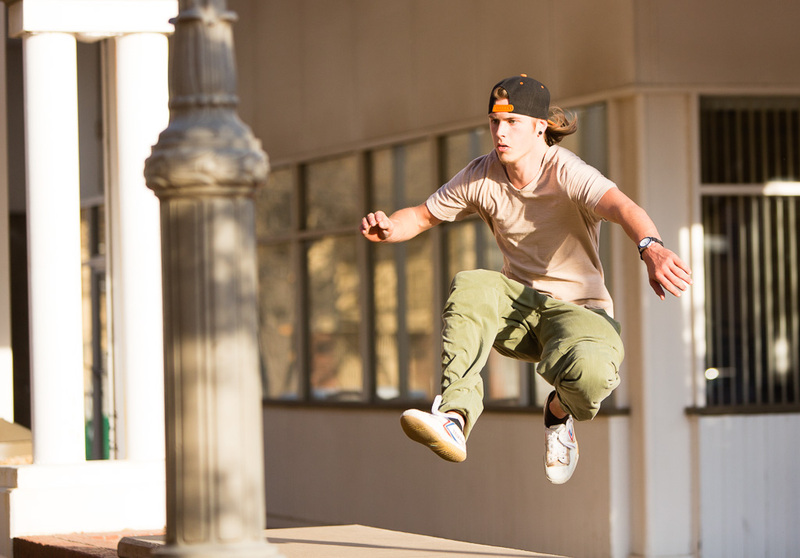 Travis Hensley performs a running flip. 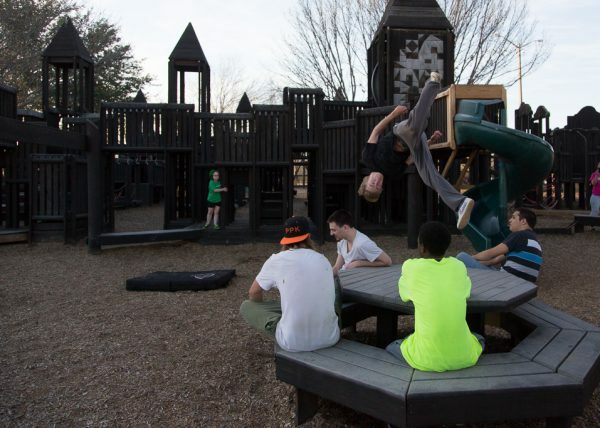 He is in Fort Worth for a parkour meetup.